Less stripping and contamination of the crop, caused by the tractor’s wheels which tread on it. 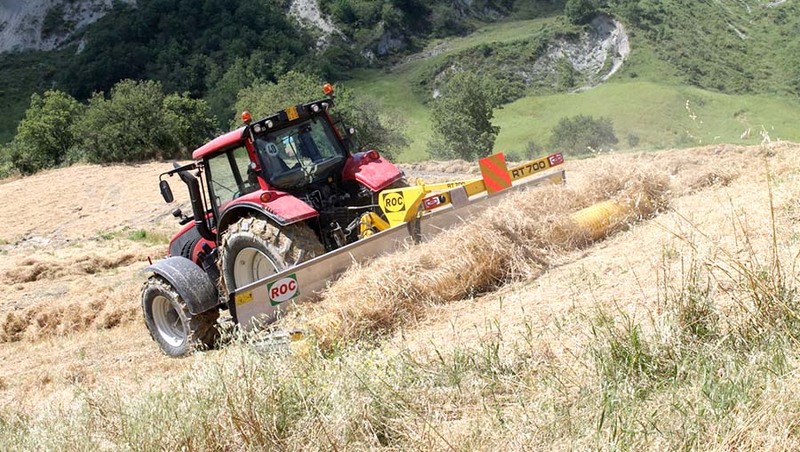 The RT 700 is the only merger among the RT Series to have the possibility of being hooked in front of a tractor or to be used on reverse drive, by anticipating in this way the harvest before trading on the product. 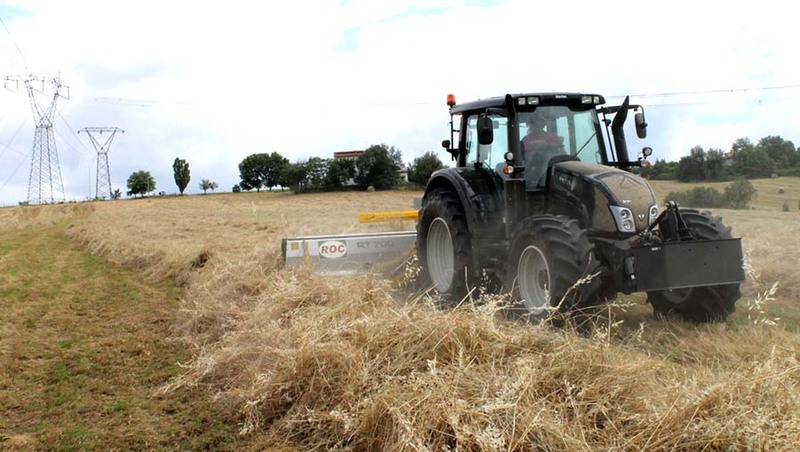 Working facility in very little fields; in fact, it’s much easier to control the working area while using the merger in front of a tractor and so reducing the operator’s weariness. Less hay stripping and higher quality. After sun drying, the little alfalfa stalks, which support leaves, become extremely fragile. 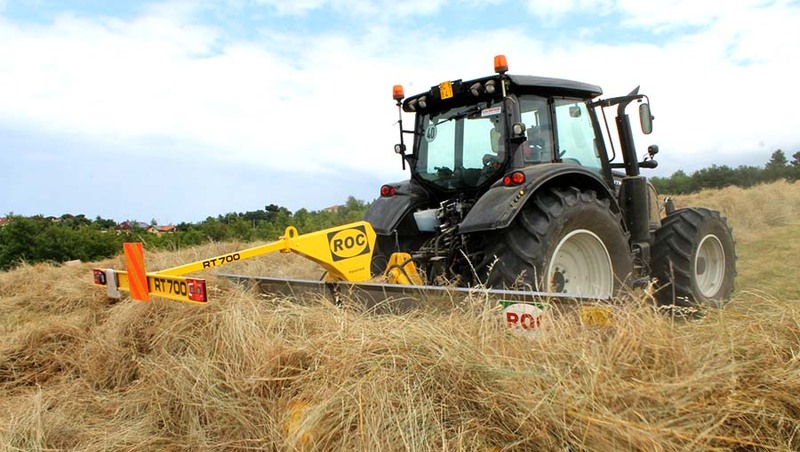 If the crop is picked up by using traditional rotary-rakes, especially in the absence of dew, little stalks are more subject to break. Lower product losses. In the presence of wheel-tracks or holes, during crop dragging, traditional rakes tend to leave a part of the product on the ground. Less damages in growth. Under normal conditions, already after 2 or 3 days from mowing, some kind of products like alfalfa, reveal a growth made up of small stalks with some leaves.